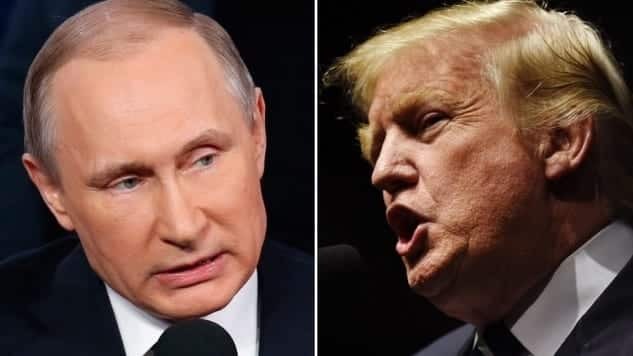 President Trump is reportedly eager for a full-scale diplomatic meeting with Russian President Vladimir Putin when the two are in Germany next month for the G-20 summit. According to an Associated Press report, the idea has caused a rift within Trump’s administration, where many believe the White House should be sensitive in engaging with Moscow during an investigation into Kremlin meddling in the U.S. election. Trump, meanwhile, has been pushing for a full bilateral meeting, complete with media access. Officials from the National Security Council and the State Department have allegedly urged Trump to show more restraint and instead hold a small, informal meeting. This entry was posted on June 26th 2017 at 10:59am/10:59 and is filed under Elections, Live News Column 2, Politics. You can follow any responses to this entry through the RSS 2.0 feed.